Looking like wings from an aerial view, the handles fly over electrified disk brakes on the front and rear, using a two-speed automatic drivetrain that includes a fully-enclosed chain. (No more gears and grease on your pants from the chain.) Illumination is part of the deal with a 40-lux-bright LED headlight and tail light for better visibility. Forget where you parked last night? (Probably not with this baby.) What if you do forget or if someone decides to move and park it in a nether-world without your knowledge? 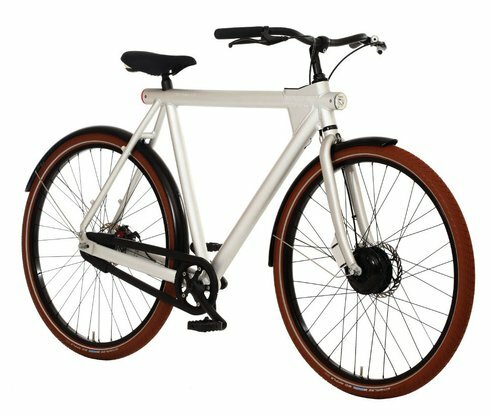 Vanmoof 10 has an innovative feature to help you find her. 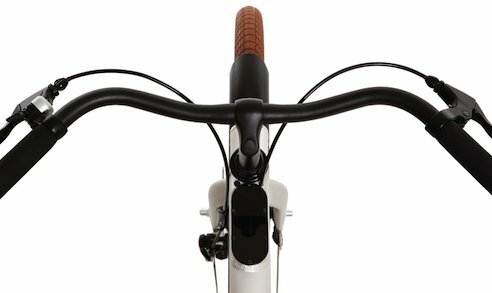 Vanmoof 10 has a built-in GPS tracking system that allows owners to trace the location of their bikes.